As people age and retire their income and assets begin to diminish due to the rising cost of living and lack of retirement funds available to most seniors. www.huffingtonpost.com has put together some Home Improvement Assistance Programs for Seniors. Below is a wide range of services and programs that may help offset some expenses and help out some needy seniors in various aspects of their lives. “Medicaid waivers: If your dad is low-income and eligible for Medicaid, most states have Medicaid Home and Community Based Services waivers that provide financial assistance to help seniors avoid nursing homes and remain living at home. 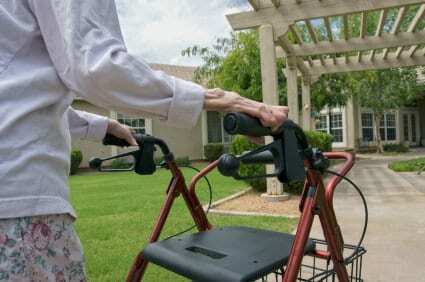 Many of the waivers pay for home modifications to increase a person’s ability to live independently. Each state has different waivers with different eligibility requirements and benefits. Contact your Medicaid office for more information. State and local programs: Some states and local governments have financial assistance programs, often called “nursing home diversion programs,” or “deferred payment loans” that are not funded by Medicaid. These programs, which may include grants or loans or a combination, helps pay for modifications that enable low to moderate income elderly and disabled to remain living at home. Modifications covered typically include accessibility improvements like wheelchair ramps, handrails and grab bars. And some may be used for home improvements like roofing, heating and cooling, insulation, weather-stripping and storm windows. Federal programs: The Department of Housing and Urban Development offers HUD Home Improvement Loans, which are HUD insured loans made by private lenders for home improvement and building projects. Contact a HUD approved counseling agency in your area (call 800-569-4287) to learn more. And the U.S. Department of Agriculture has a Rural Development program that provides grants and loans to low-income, elderly or disabled, rural homeowners for home repairs and improvements. Your local USDA service center can give you more for information. Veteran benefits: If your dad is a veteran with a disability, the VA provides grants that will pay for home modifications. See benefits. www.va.gov/benefits/factsheets/homeloans/sahfactsheet.pdf for details and eligibility requirements. Another possibility that’s available to veterans enrolled in the Medical Benefits Package is Veterans-Directed Home and Community Based Services. This program provides veterans who need help with daily living activities with financial assistance to help them remain living in their homes, and provides them with a certain amount of discretion to use those funds. Non-profit organizations: Depending on where your dad lives, he may also be able to get home repair and modification services through the national, non-profit organization Rebuilding Together. They provide services to low-income seniors, veterans and military families, families with children, people living with disabilities and victims of disaster. You should also check with the Area Aging Agency to see if any other local organizations that offer volunteer home modification help to low-income seniors. Maintaining and improving the homes of seniors ensures physical safety and mental reassurance of comfort.